Sarah Callanan School of Dance – Ballet, Jazz, Tap, Hip-Hop, National & Modern Theatre dancing. Ballet, Jazz, Tap, Hip-Hop, National & Modern Theatre dancing. Welcome to Sarah Callanan School of Dance. 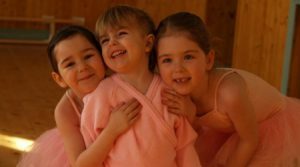 We provide classes for children aged 3 to adult in an environment where children are nurtured and encouraged to develop to their full potential. We strongly believe in learning in a fun environment, which stimulates creativity and confidence. 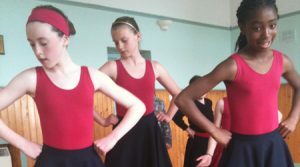 Other benefits for students at Sarah Callanan School of Dance include, discipline, grace, correct posture, musicality and appreciation of the arts. All students are invited to participate in shows and displays. I.S.T.D. and I.D.T.A exams are offered for serious students. Field trips to theatres and others venues are offered through the year. Sarah Callanan is a fully qualified dance teacher with qualifications from Imperial Society of Teachers of Dancing (I.S.T.D.) and International Dance Teachers Association (I.D.T.A.). Sarah Callanan School of Dance is in existence since 1997 and has classes in Cobh, Innishannon, Kinsale and Bandon. Copyright © 2019 Sarah Callanan School of Dance. Cobh, Innishannon, Kinsale and Bandon, Co Cork. (087)2500214. info@schoolofdance.ie · Registered with the ISTD & IDTA.